As you may have already seen, we discovered the art of barbecue potluck parties this spring and summer. Easy to coordinate, minimal prep, and everyone pitches in at the end to clean up. 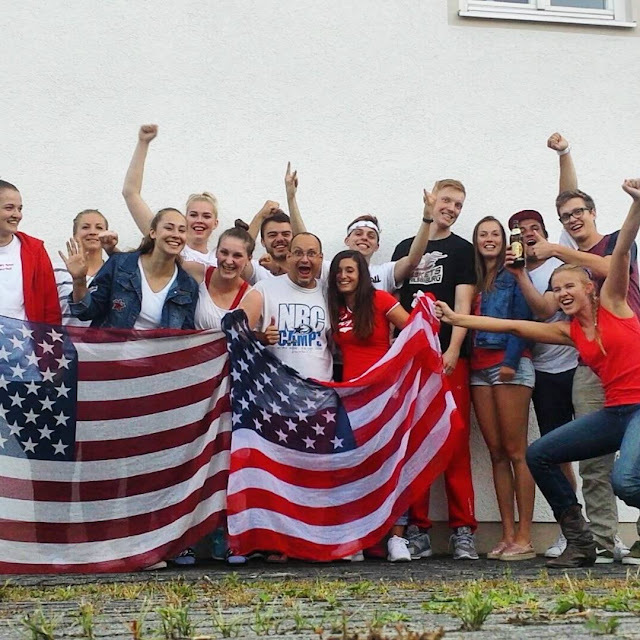 This was our very first 4th of July abroad. After six summers of returning to California during the month of July (one exception: Washington, D.C. in 2015), this year our USA time ended early and we looked at our calendar. American Independence Day. In Germany. We should probably throw a party. It started out with just a few invites, grew to some more, and, by the end of it, we had a full patio of laughter, language, and food! 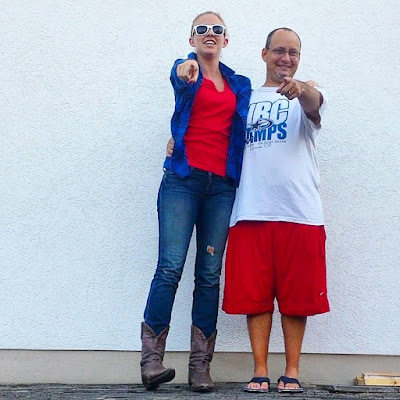 I had a ton of fun wearing my always-rad cowboy boots, but the main entry requirement for everybody else was that they had to be wearing red, white, and blue. They were all mostly on board because they heard the word "barbecue," but for us, it was somehow a hilarious multicultural celebration of the USA. 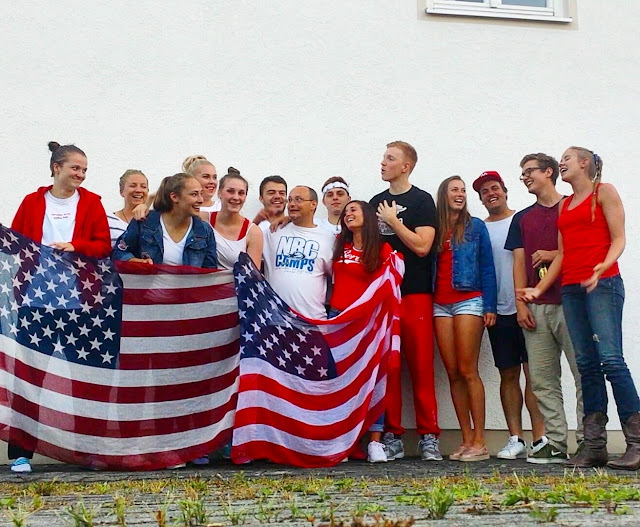 I'm just happy my friends had American flag scarves and wore red, white, and blue. 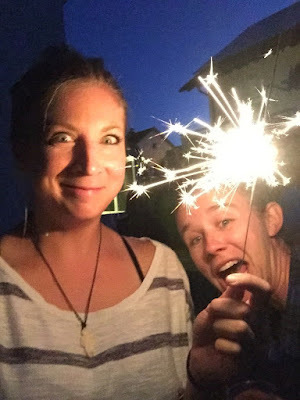 Maybe next year we can do sparklers again and real fireworks, too! The 4th of July is honestly a lot like Thanksgiving. Celebrating freedom, success, and it's all about being grateful for the happy and safe lives we are blessed with. 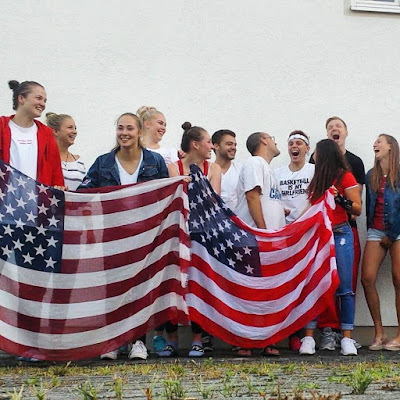 This 4th of July, I was so thankful for the crazy friends surrounding us with their excited energy, and to host their first Independence Day party! Thank you so much to all of you for making this holiday away from home really fun and special! 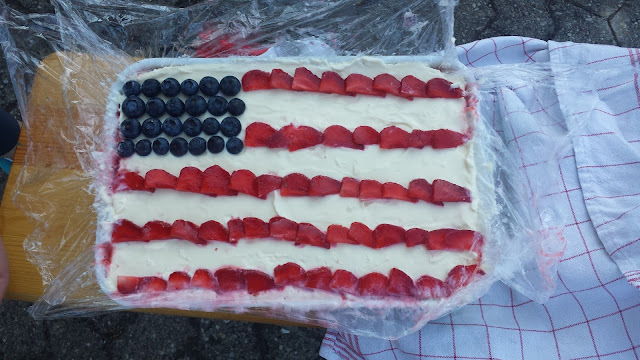 Extra appreciation goes to Marc for barbecuing everything and to Marlies, our Dutch buddy, for this EPIC cake. You make me wish the 4th of July was once a month!!! Who's in for next year's barbecue? !